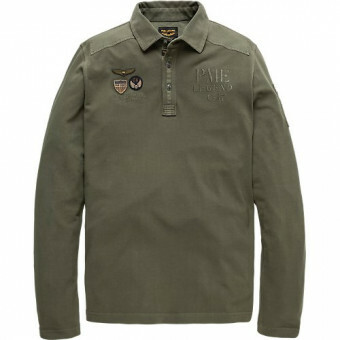 Longsleeve PME Legend polo. This polo has been garment dyed for a washed look and has reinforced details on the shoulders. You will find a pocket on the left side of the sleeve. This polo has artwork on both sides of the chest, which makes this item very special.